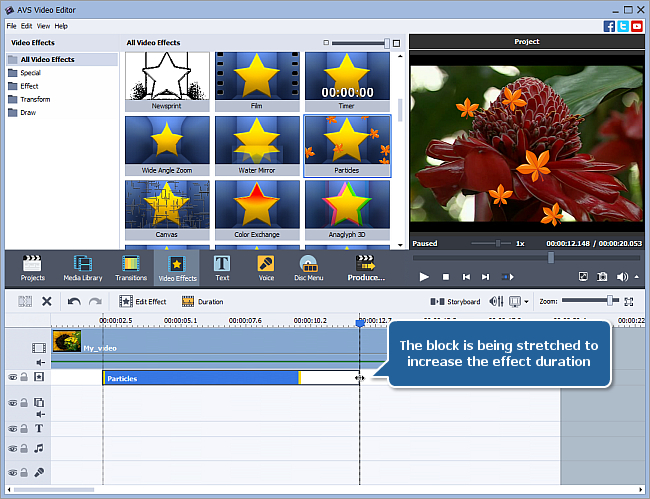 AVS Video Editor has a lot of features to make your video even far more memorable and impressive. Adding different effects to your video is one of those catchy things that approximates your resulting video to an interesting and amazing movie. 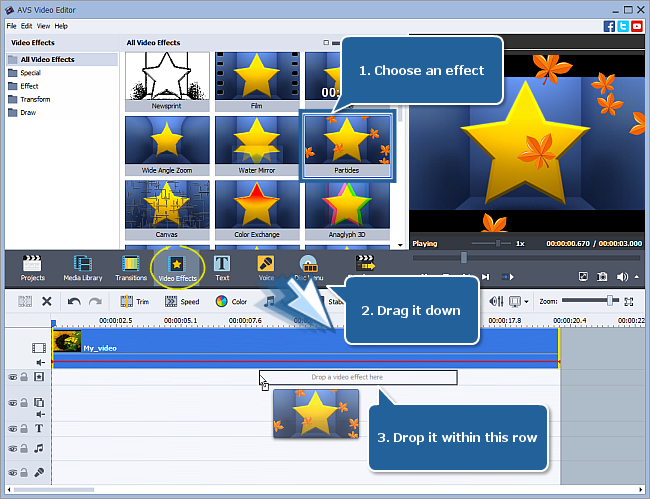 If you are a new user you'd better learn how to import your video and place it to the Timeline first and then follow the steps of this guide to know how to apply effects. 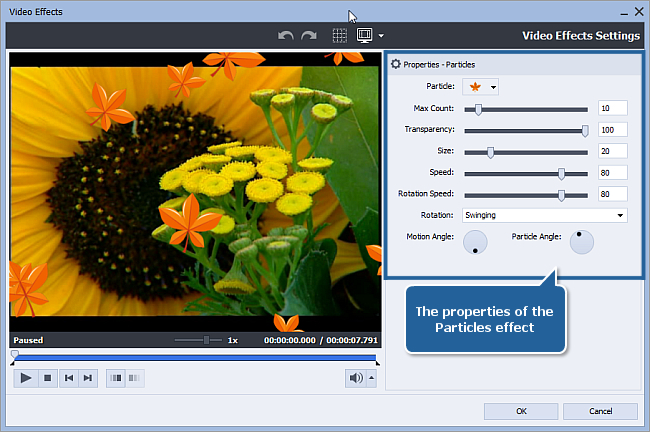 Note: you can also define the effect duration by clicking the Duration button which appears on the panel placed a bit above at the moment you click the effect block. 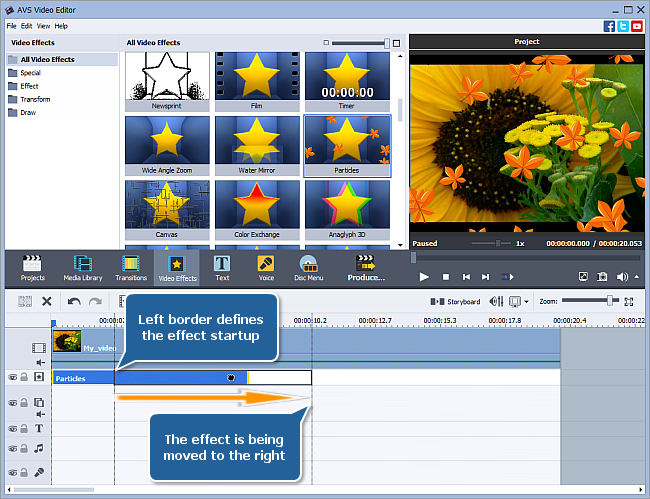 If you want to save this video with the effects you've applied refer to the How to save the project and the video in AVS Video Editor? guide.